We made this post to better explain how the Subaru shifting mechanism works, and where the various available upgrade parts go, and what they do. The base of the shift lever is held in place by a rod that connects at the front to the transmission case, and at the back to a mount on the chassis. There are bushings at both places because the drivetrain will move relative to the chassis. 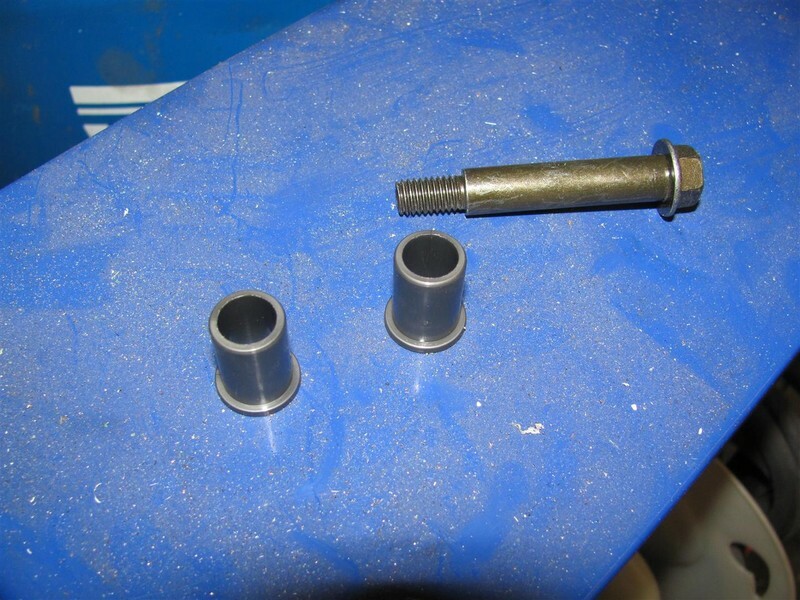 These are marked as D and E, which are commonly known as the shifter bushings. Part D is at the transmission case while E is on the chassis. Some other transmissions just have the whole assembly solidy mounted to the transmission which improves feel, but I guess that wasn’t possible with the subaru drivetrain layout. This starts us off at a bit of a disadvantage since these bushings will flex when shifting gears. Stiffer bushings from some place like Kartboy for D and E mean the base of the shift lever is held more firmly in place while selecting a gear. So forward and back movement gets a much more direct feeling because the stock bushings aren’t squishing around while you try to move the shifter. 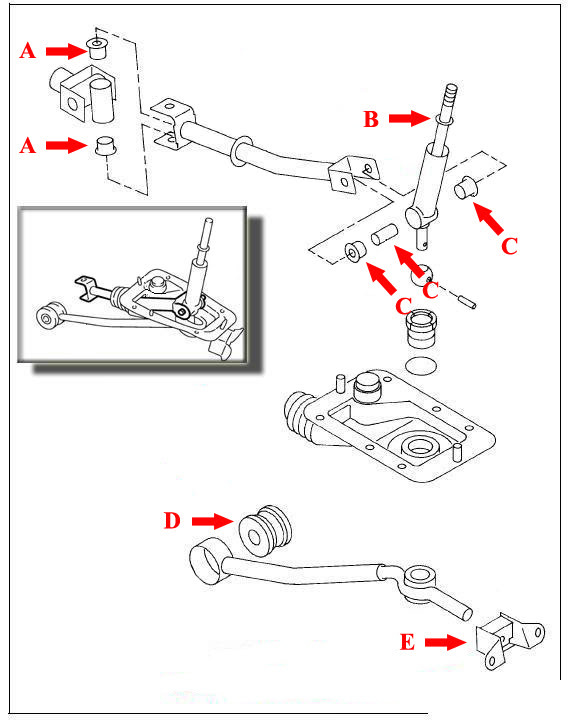 There are a couple of different variants of the u-joint linkage: early ones have an external centering spring, some are riveted together, and some use different sized bushings. So to fix worn bushings it’s important to know what variant is on the car. From 1990 to about 2005, the linkage was held together with a rivet so the bushings weren’t an easy replacement. Also, 98 and older versions use an external spring to keep shifter centered when in neutral, which attaches to a small hole on the linkage (you can the spring in the previous image). For 1999, the new “phase 2” transmission got rid of the return spring, but kept the riveted together linkage for a few more years. This riveted linkage went to 2005 for the 5-speed Impreza and probably 04 on the Legacy. The 5-speeds 2006 and newer use the same bolt together linkage as the 06+ 6-speed. There also might be some overlap where 06 models have the older linkage. So fixing worn linkage bushings depends on the type of linkage in the car. For the later bolt together linkages you can order replacement bushings made by Turn in Concepts, which cost around $25. For a riveted linkage it is not so simple, but there area few options. The first is to just replace it. This can be an OEM part, either original or the 06+ version that bolts together (but those do not have a spring tab), they will all interchange. TIC takes these newer ones and also installs their stiffer poly bushings. This is our preferred option but they do not have a spring tab. 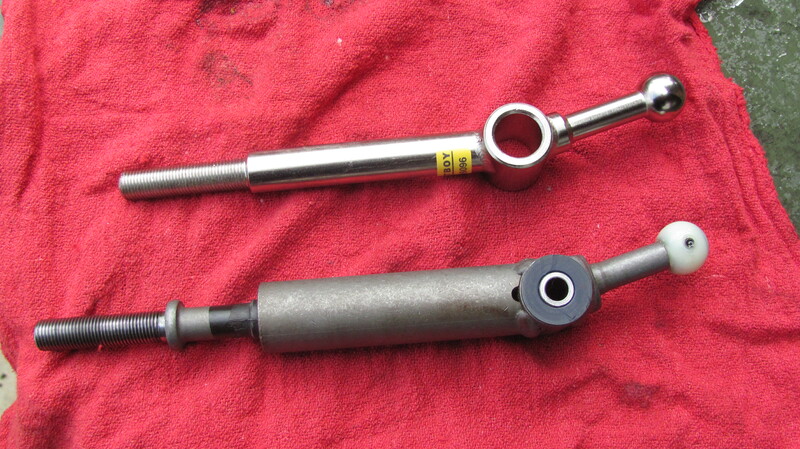 However, we hear you can just drill a hole in the non-tabbed linkage to use with an external return spring. The 2nd option with a riveted linkage is to drill out the rivet and use a bolt. This will maintain the original spring mounting tab, and save some money, but getting some bushings that are a direct fit is a little harder. I used some 3/8″ nylon bushings from mcmaster carr plus a stock linkage bolt. Had to ream the bushings out slightly to 10mm but it works pretty well. Don’t currently have the part number, but measuring and then browsing the catalog should come up with something if you want to do this. Like I mentioned, for newer models none of this needs to be done. 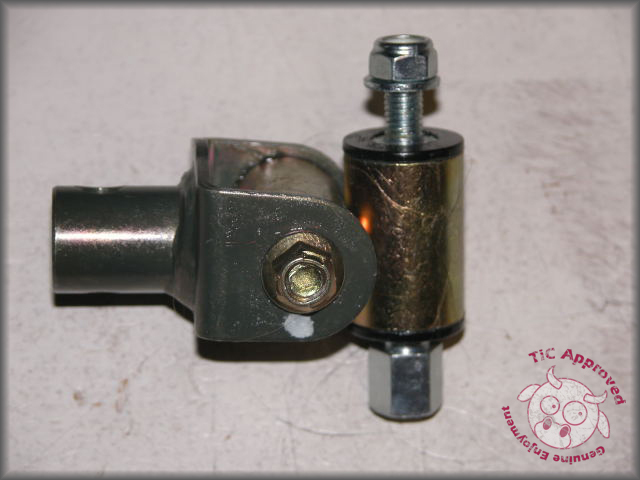 The linkage bolts together and replacement poly bushings are made by TIC. In the US, the 04+ STi, 05+ Legacy, and 06+ Impreza have bolt together linkages (the 15+ WRX has a cable shifted transmission so this is not applicable). What all this means is that the shift bushing (parts D/E), and linkage bushings (part A), are the two most important parts related to shifter engagement. 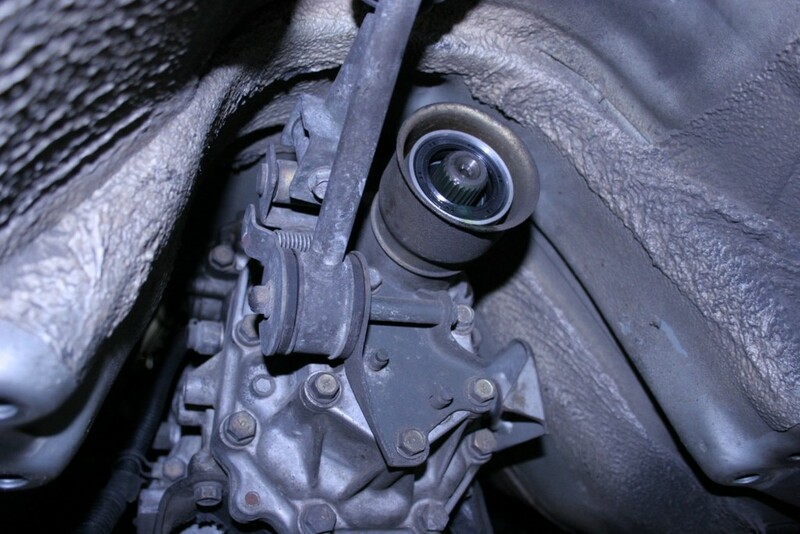 If there is a lot of play in the shifter, start with the u-joint linkage, and the front and rear bushings might as well be replaced at the same time. Notice the pivot and lower mount are spaced differently between the two. 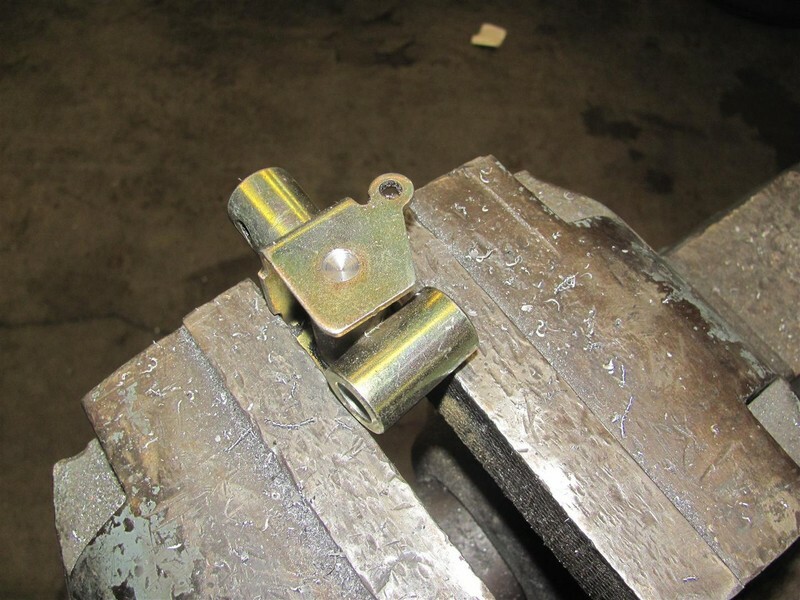 While this Kartboy lever is physically shorter, that is not why they are called “short shifters.” Instead it’s due to the change in shift geometry and the shorter resulting throw. Shift levers also vary between models. There are five or so versions. The first is the older cars from 1990 to about 1996. For these cars the lever and shift rod are a little different, so if you would like to upgrade your shifter on one of these it’s necessary to swap to newer parts. After that, the shifter stayed the same until about 2002, so the 98-01 Impreza RS for example uses this style. For 2002, the only difference is that the shifter where it attaches to the rod is wider. However, the SPT short shifter assembly uses the older, “narrow” shifter, so if you have one of those and want a shift lever it actually needs to be for an older car. Then for the 05 Legacy and 08 Impreza the dimensions changed and this is a different shifter. The sti/6-speed get it’s own lever, mostly due to the reverse lockout, but this part has stayed the same all the way to the present models. What a great article. Very informative! Bringing it back from the depths, but I need to know the best way to get the nut/bot holding part D in. Thanks!